LEWISBURG — As a new school year begins, students at Bucknell University will see some changes and improvement across campus. It was another busy summer for T-Ross Brothers Construction Inc., who completed numerous projects on campus before the start of the fall semester. With just 2 ½ months to complete the work while students were on summer break, T-Ross contractors had to work fast, but were able to get all the jobs done on schedule. One of the main projects this summer was a new press box at Christy Mathewson-Memorial Stadium. The press box features all new press rooms for broadcasting, specialty rooms for coaches, an outdoor deck for video cameras and easy access to stadium seating. The press box was finished in time for the first Friday night football game of the season for Lewisburg Area High School. T-Ross Brothers Construction was also busy refurbishing and improving many buildings on campus, including Affinity Housing, Swartz Hall, the Botany Building and Vedder Hall. Other projects included work on the 7th Street Café, Hunt Hall, Kalman-Posner Hall and the Lowry House. Improvements including a new HVAC system were made to the Bucknell Animal Behavior Lab. The O’Leary Center received some upgrades along with Zeller Lounge. Work was also done to improve the Corner House and the Group Fitness Center. 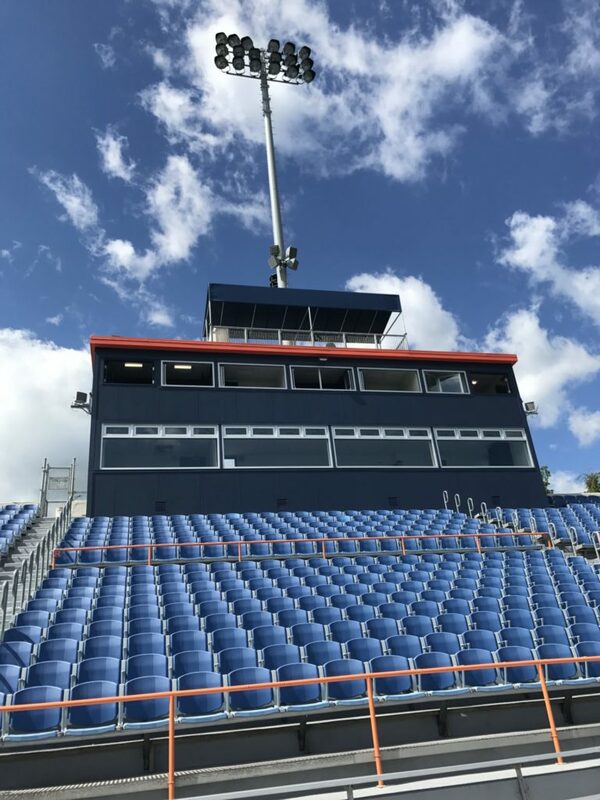 The post New press box and many other projects completed at Bucknell University appeared first on T-Ross Brothers Construction, Inc..